Lodi is in the southwest part of Seneca County, northwest of Ithaca, between Seneca and Cayuga Lakes. Michaels & Smolak’s recent clients from the Lodi area of Seneca County include two people who were injured in a motor vehicle accident when a vehicle traveling in the opposite direction crossed into their lane of travel and struck their vehicle, causing multiple injuries to both, including a fractured ankle, fractured ribs, cracked sternum and a hip fracture requiring surgery. 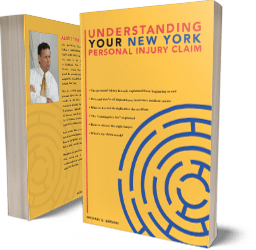 Michaels & Smolak represents injured clients all over upstate and central New York. Many of attorney’s, Mike Bersani, lives in Geneva, and many local lawyers refer all their personal injury and medical malpractice cases to Michaels & Smolak. They do so because of the firm’s reputation for providing the very best representation to injury victims. Mike Bersani frequently travels to his clients’ homes in Lodi and beyond to meet them. The firm has lots of experience trying personal injury and medical malpractice cases in the Seneca County Courthouse. The firm’s lawyers are very familiar with the judges and also with the jury pool in Seneca County.